Invalid donation amount entered. Please enter a minimum value of €0.00. 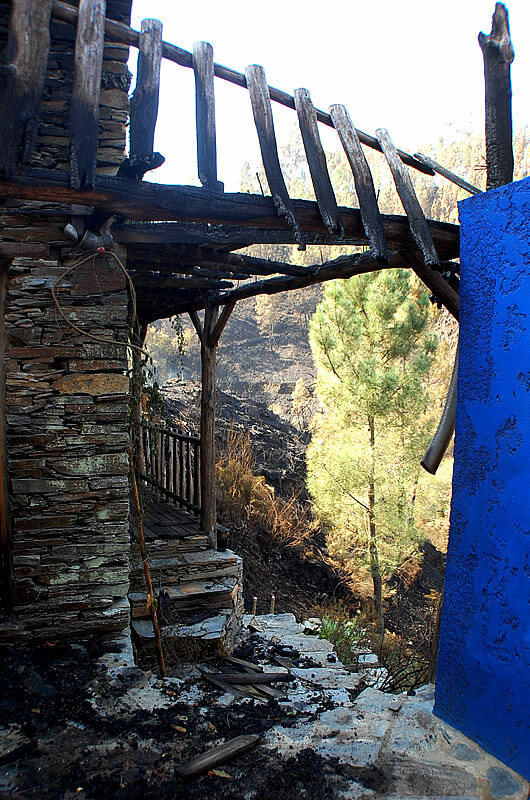 We have been badly affected by the forest fires in Portugal this October (2017) – We still have a house but it is damaged. We have lost all our solar panels, our only supply of electricity, and all the piping infra-structure for our only water supply has been destroyed. One door and one window of the house have burnt out, but, miraculously the house didn’t catch. The balconies on two sides of the building are destroyed and vital roof-supporting pillars of the studio are badly damaged. Various materials and equipment that had to be left in the open are also gone. We have received so many messages of support and some have asked if they can help us financially so I have put this donation portal on our website. We need money for sure but other kinds of donations are equally welcome such as materials or equipment that could help us make our home livable again. We have to find in excess of €4000 to rebuild our lives, we will do it somehow and if you wish to help we will be eternally grateful.